click photo to enlarge After leaving Knoxville and the Honda Hoot I decided I wanted to ride route 66 home. After all, we work at the Route 66 Mother Road Museum in Barstow and we always see people from other countries that flew in to Chicago, rented bikes and are riding Route 66. 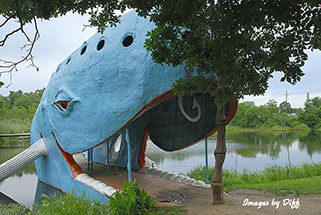 So my first stop on the Mother Road was Catoosa and the famous Blue Whale. The Blue Whale was built by Hugh Davis as a surprise anniversary gift for his wife who collected whale figurines. Now, I'm not sure how you build something this large as a surprise but OK I'll accept that. click photo to enlarge What I was surprised to find out is it was built in the 1970's. I had incorrectly thought it was built much earlier in the Mother Road's history. 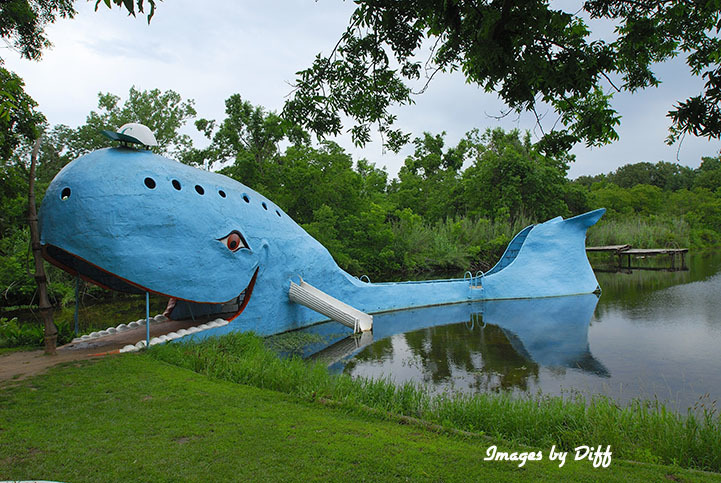 The Blue Whale was intended for family but it soon became a favorite place for locals and people traveling Route 66 to go swimming. 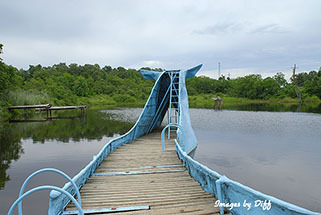 The day I was there I was by myself. 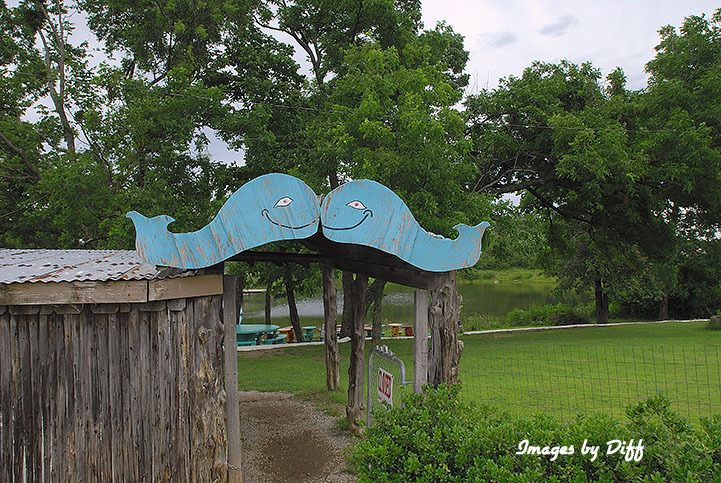 The park and the pond grew as Mr. Davis had sand trucked in and added picnic tables. click photo to enlarge The park grew to include the Animal Reptile Kingdom (ARK). 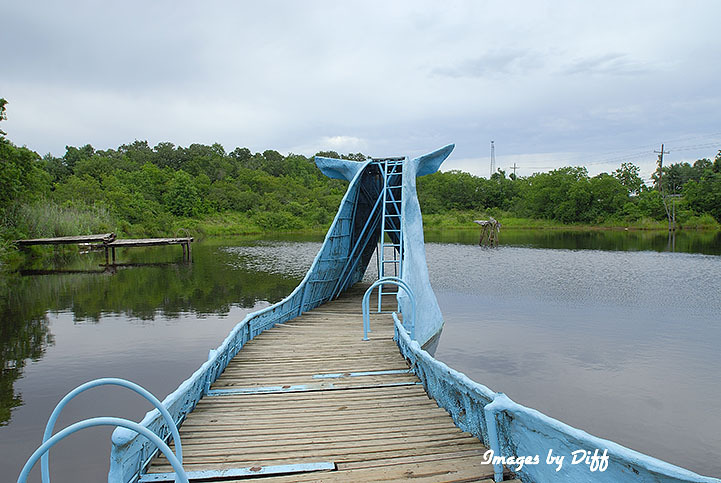 But by 1988 the Davis's found they could no longer maintain the park and closed it. Two years later in 1990 Mr. Davis died. In the early 2000s from monies raised by the citizens of Catoosa and the Hampton Inn's employees the Blue Whale received a fresh coat of paint. 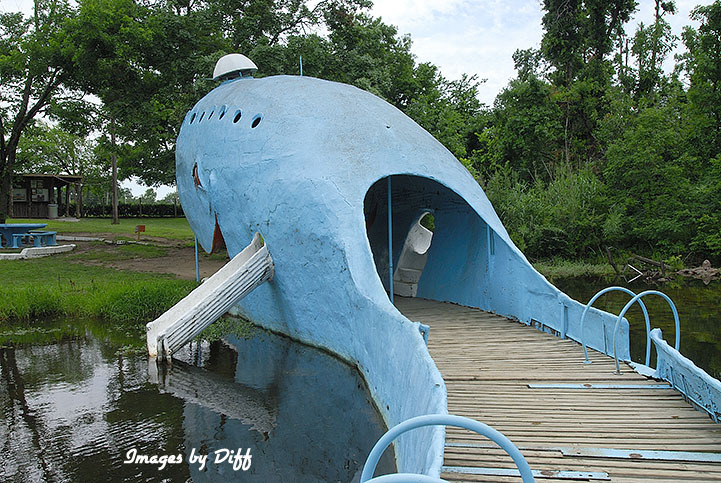 You can just imagine how much fun people must have had sliding and jumping off the Blue Whale. This was my starting point of my ride on Route 66.